Elizabeth E. Wagner, PhD, is a private practitioner specializing in DBT, CBT, and mindfulness with adolescents and adults. Dr. Wagner was on faculty in the Department of Psychiatry and Behavioral Sciences at Montefiore Medical Center/Albert Einstein College of Medicine in New York City from 2000-2009 where she divided her time between clinical, teaching, and research activities. During this time, she held various positions including Assistant Director of Montefiore’s Adolescent Depression and Suicide Program where she conducted and supervised DBT and CBT with teenagers and their families, co-investigator on an NIH-funded grant developing an adaptation of DBT for a triply diagnosed population (HIV-positive, substance abusing, with BPD), and attending psychologist in the Department of Surgery where she conducted pre-surgical psychological evaluations and supervised DBT skills training groups for bariatric surgery patients. Dr. Wagner received her Ph.D. in clinical psychology from Duke University and completed her internship at the Westchester Division of the New York Presbyterian Hospital-Cornell Medical Center. 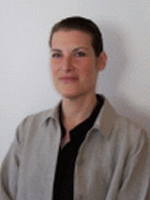 She has published and presented internationally on the application of DBT to various clinical populations. Dr. Wagner maintains private practices in Westchester and Manhattan.